A simple item, that everyone knows, in a new level. 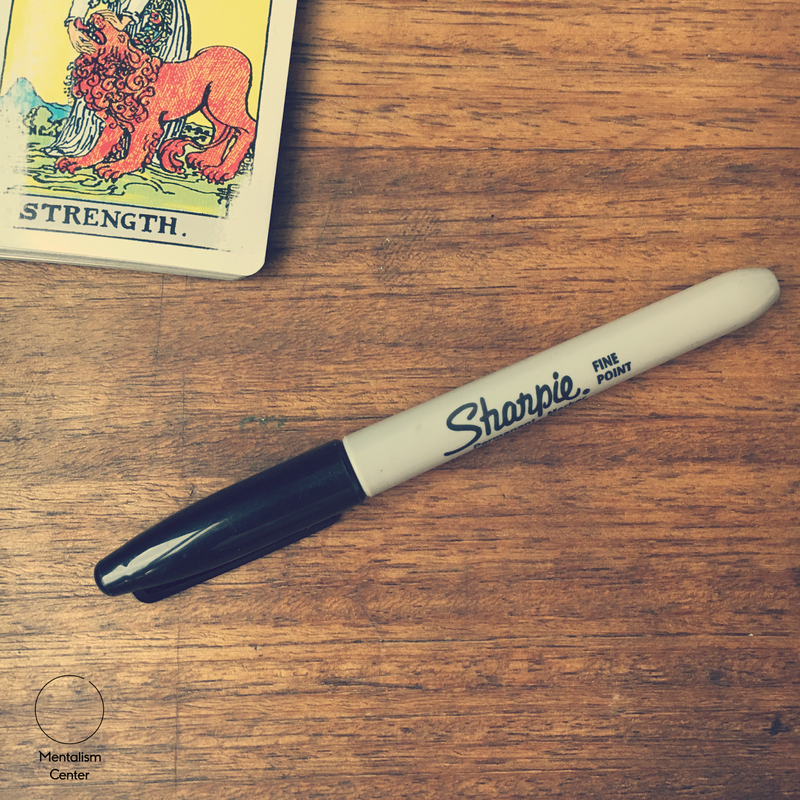 The MultiSharpie will allow you to create a variety of different effects with one normal looking Sharpie. Two practical, real world tested methods that combined together can create wonderful Mentalism. No extra preparation. Receive it and use it. Mindreading, Prediction, Psychokinesis, Psychometry and more. Imagine writing a prediction in a piece of paper, then a participant freely marks any word on any page, and you can show the prediction to be correct! Or showing your hands completely open and empty (no rings, no sleeves, nothing palmed) , and make the sharpie move or even fall! Each MultiSharpie is handmade, so it will be available while stocks last!